Heworth (St. Mary's) Churchyard contains 81 burials from both the First and Second World Wars. Of these, 48 burials are for the First World War and include one soldier of the Yorkshire Regiment. 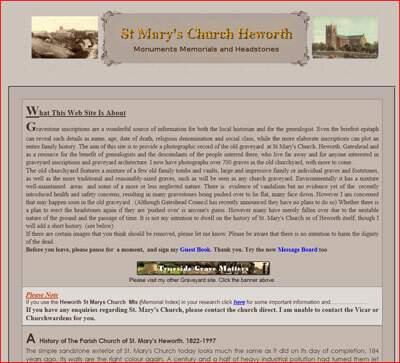 A very comprehensive website has been set up with respect to St. Mary's Church, Heworth. The bulk of the website details the monuments and monumental headstones that are associated with the church, but also includes details on the church itself. 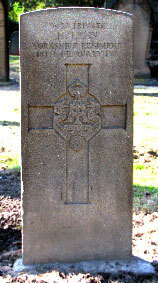 Amongst the information provided on the website are details of the Commonwealth War Graves Commission headstones. We are very grateful to Bill Hartman (<hartman045@hotmail.com>) who is the webmaster for the above website for his photograph of Private Lynn's headstone. 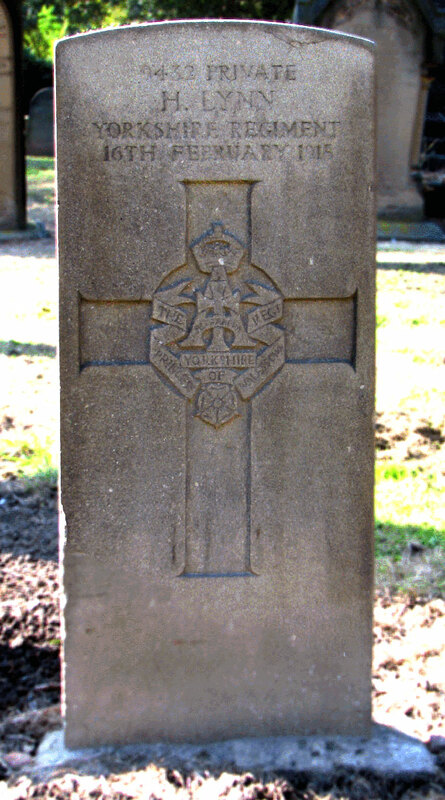 Select the thumbnail sized image below of the headstone for a largers sized image to open in a new window. 11th Battalion the Yorkshire Regiment. Died at home 16 February 1915. Born Heworth (Durham), Enlisted South Shields, Resided Felling-on-Tyne. Select the above icon for the website for St. Mary's Church, Heworth.